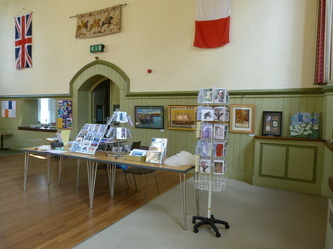 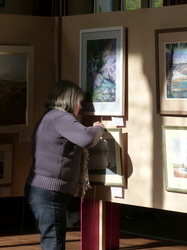 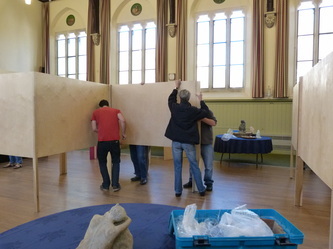 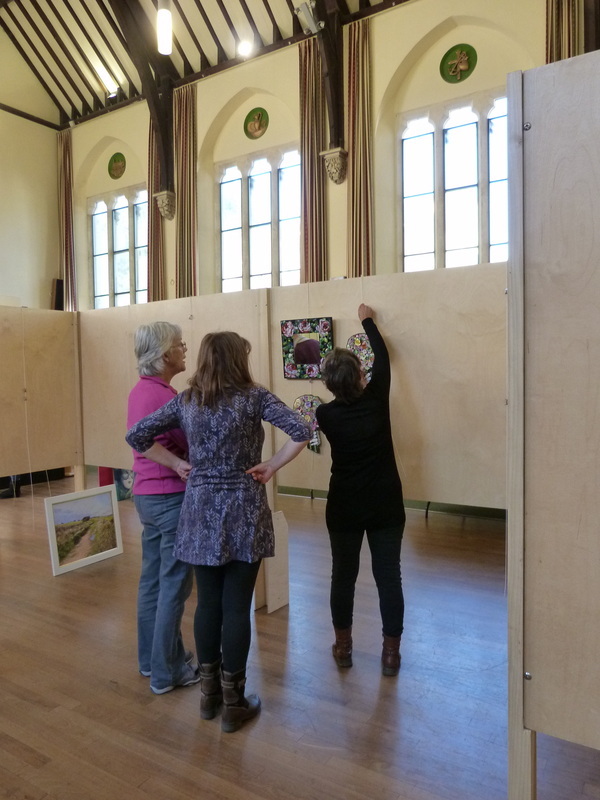 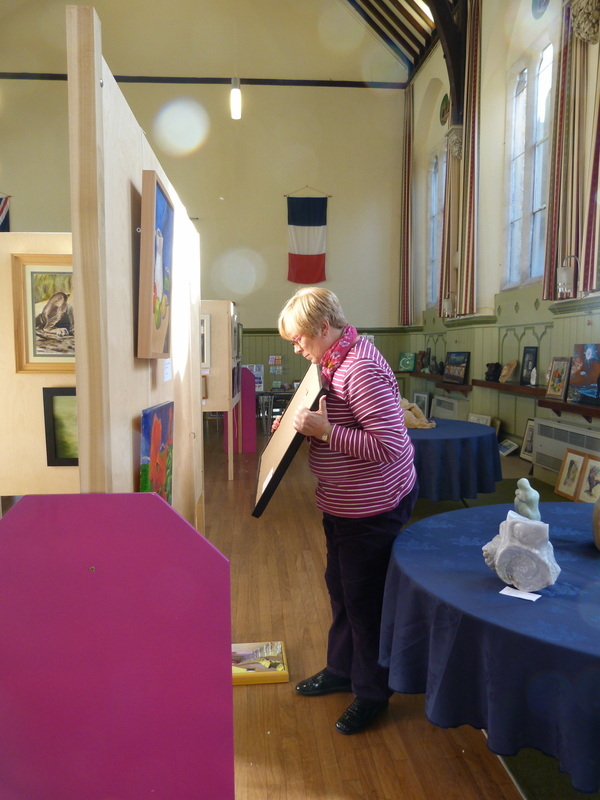 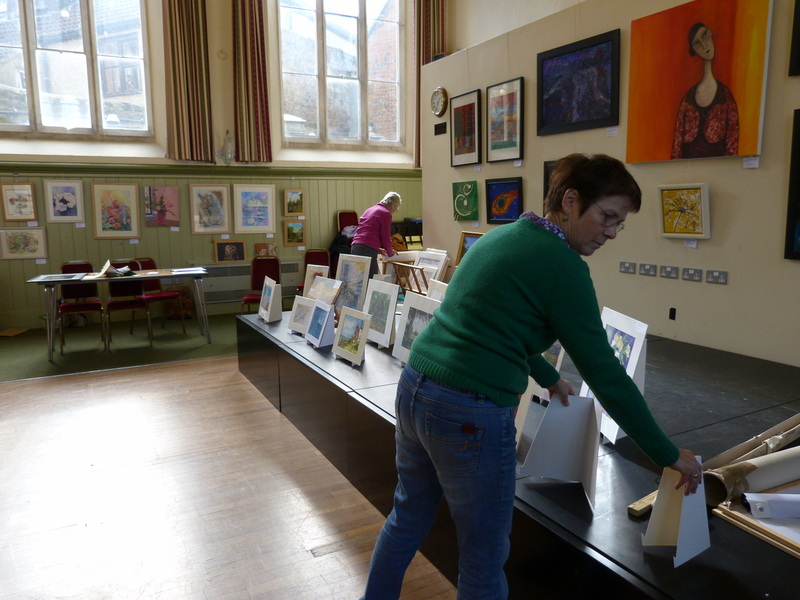 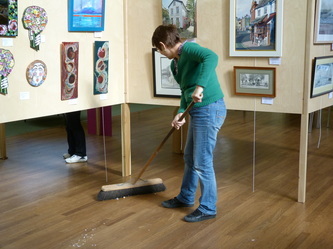 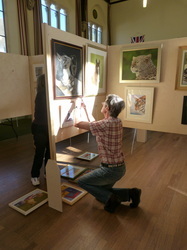 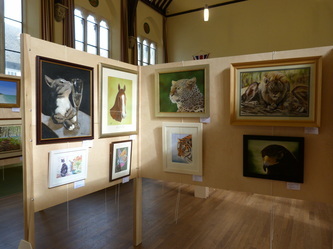 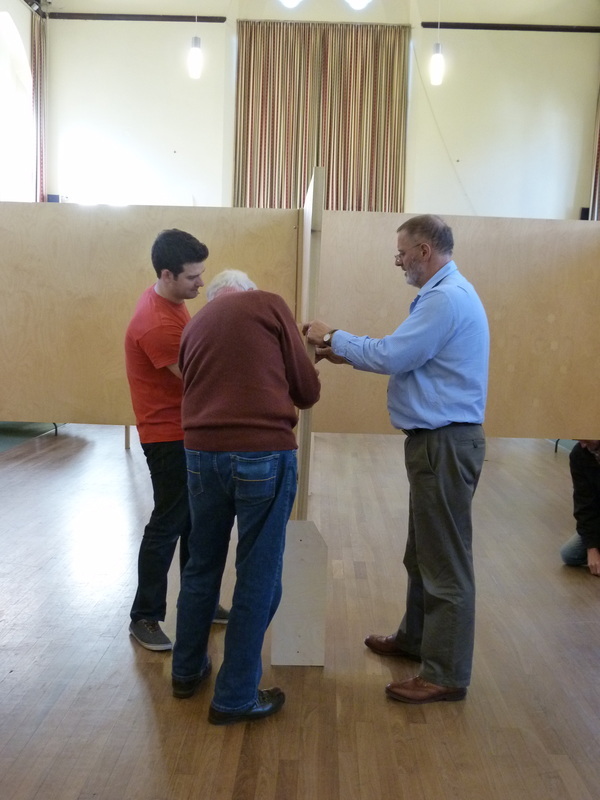 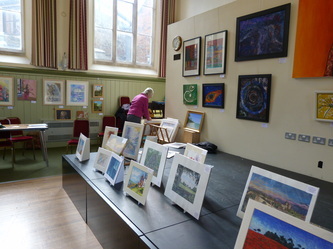 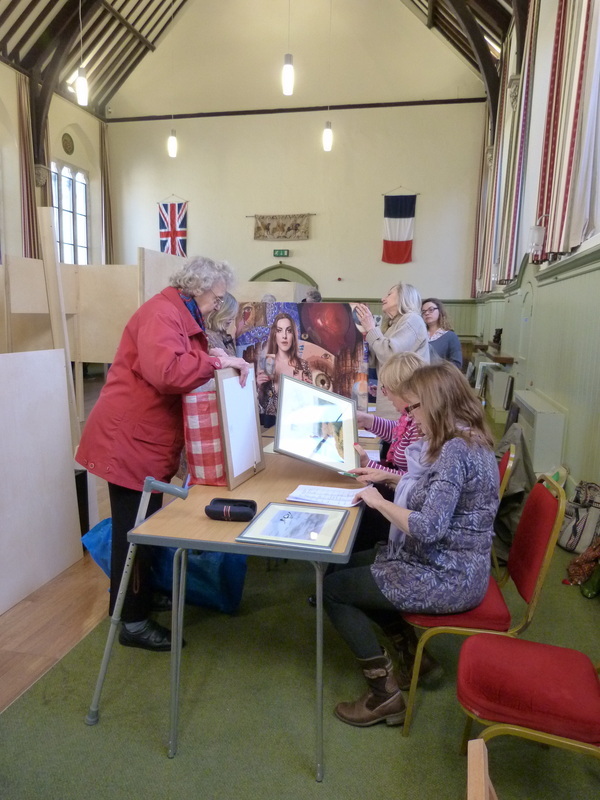 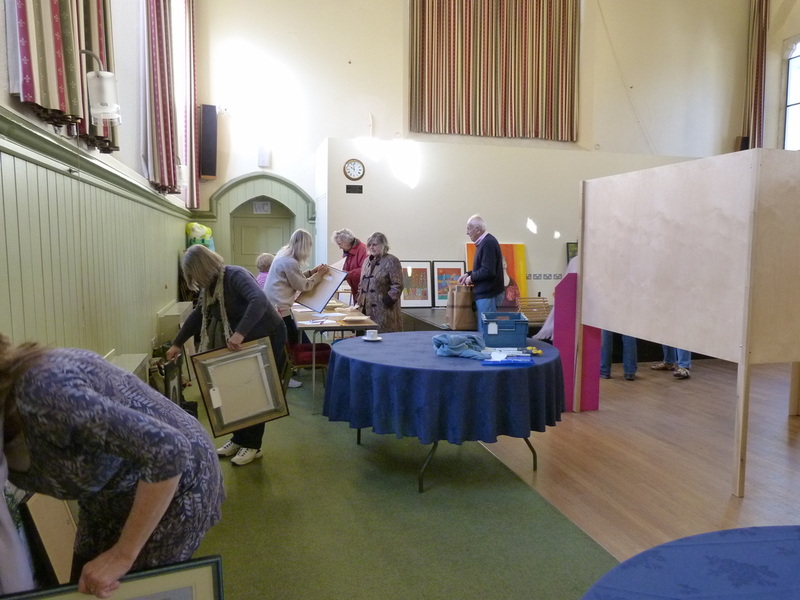 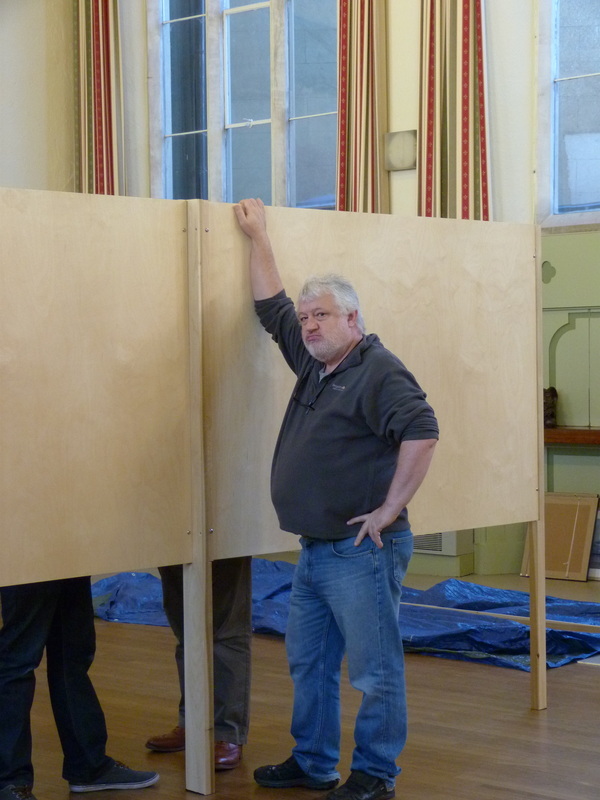 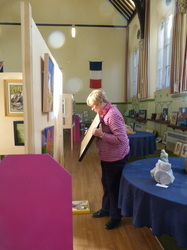 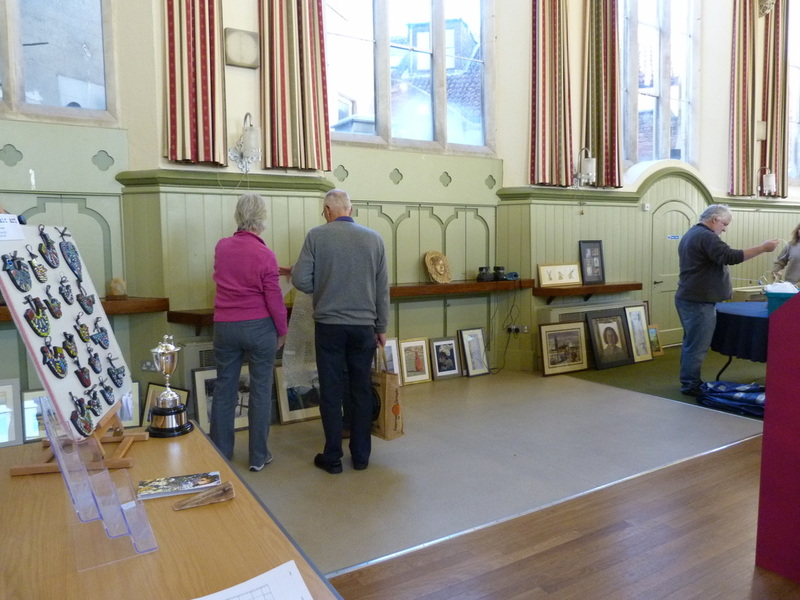 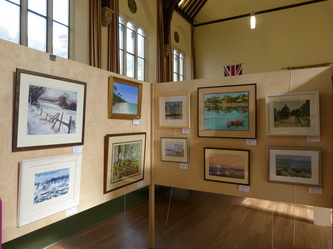 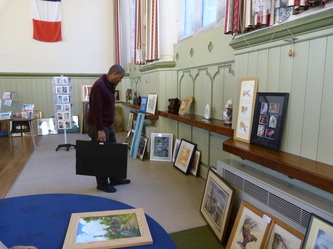 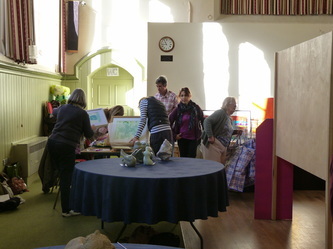 A few photos to show you how an exhibition comes together. 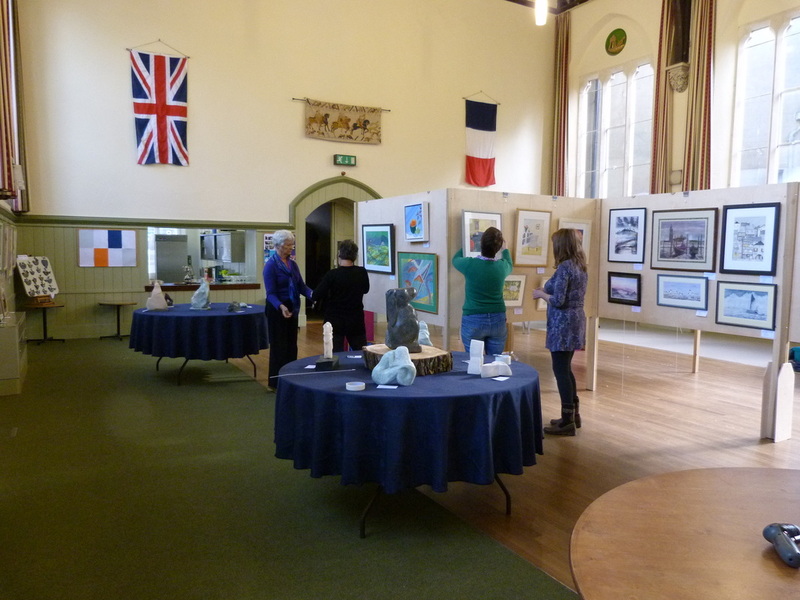 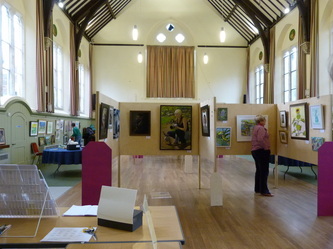 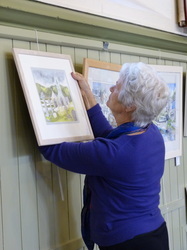 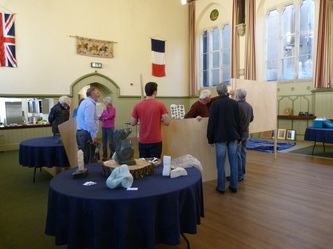 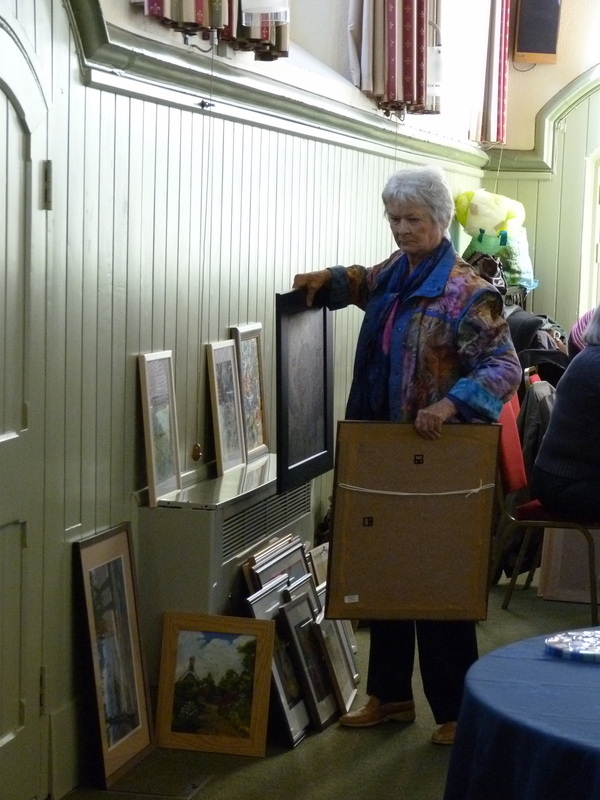 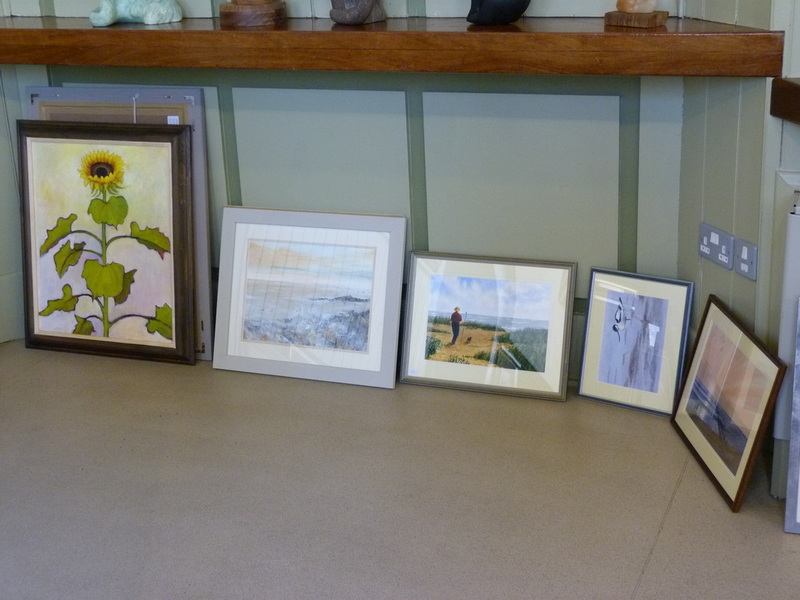 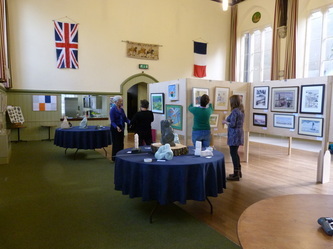 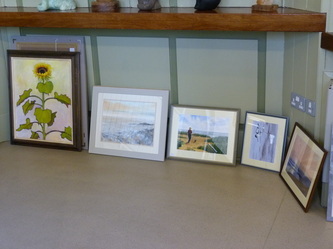 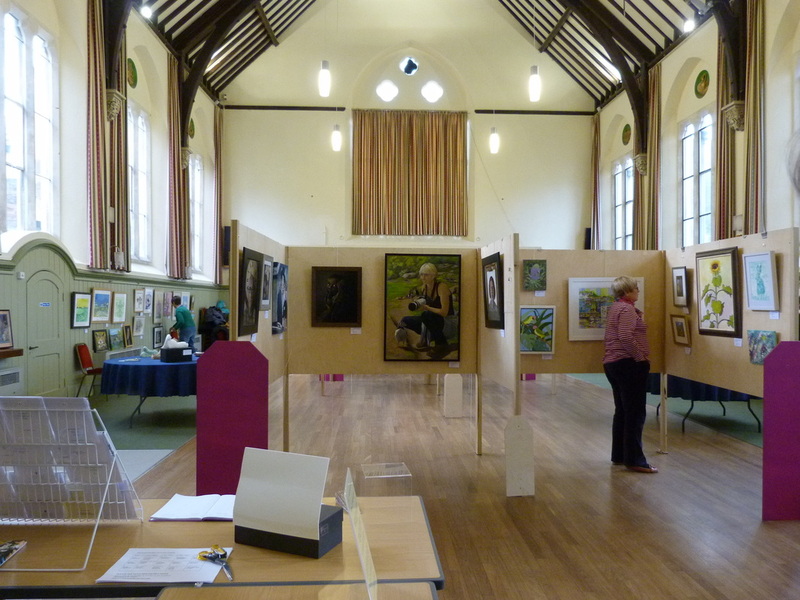 On Thursday, October 10th a team of members spent about 5 hours putting up our 49th exhibition. This involved: transporting and putting up the boards, signing in the art work, deciding where each piece would be displayed, hanging and labeling work, and displaying unframed work and cards. 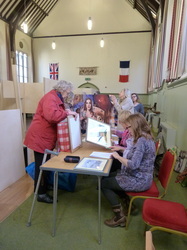 Thank you to all those who helped.